While traveling in AZ last week we ate a lot of authentic and really good southwestern food. 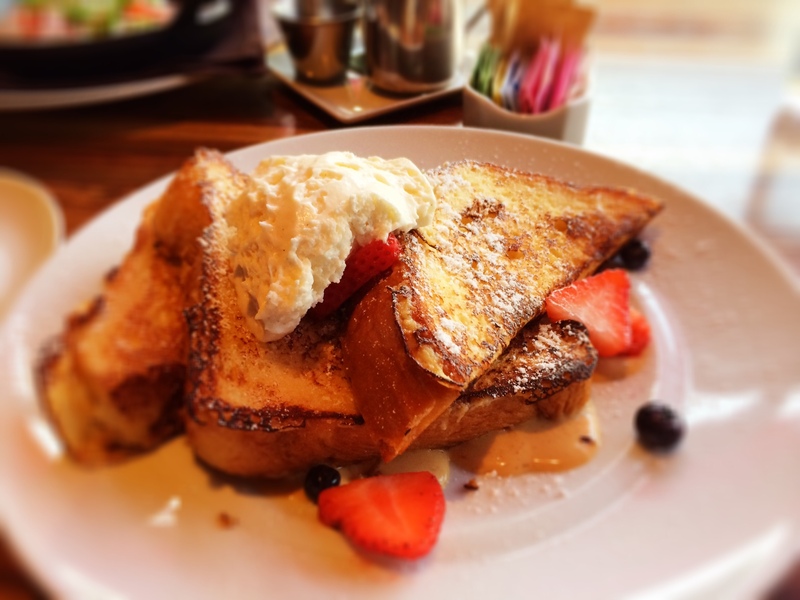 One item that strayed away from the typical tacos, margaritas and spicy sauces was the Tres Leches French Toast my husband ordered one morning for breakfast. “Tres leches” or three milks is typically a South American or Spanish cake soaked and poked with holes to allow the three milks to infuse the cake. It creates a surprisingly light cake with many air bubbles. 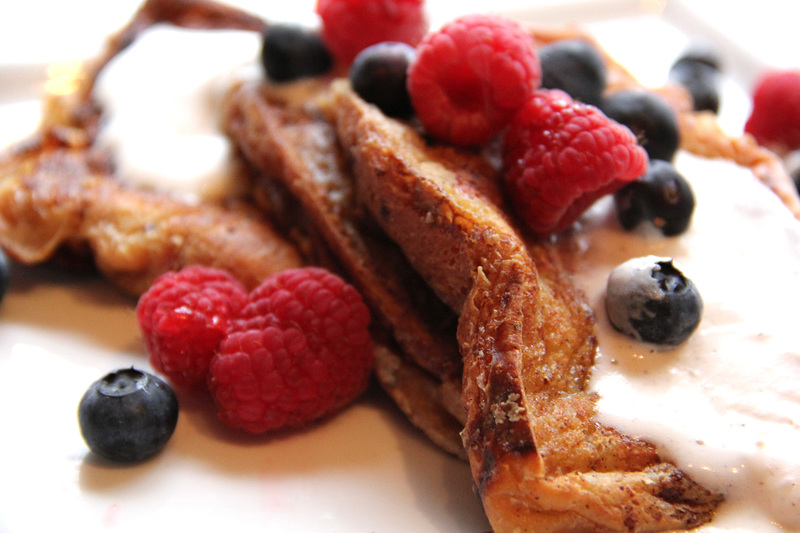 We kept hearing about this “amazing french toast” at our hotel upon check-in. My husband decided he had to try it Sunday morning before we headed off to the Grand Canyon. Let me tell you….It. Did. Not. Disappoint. Pretty sure anything topped with chantilly cream will taste delicious. 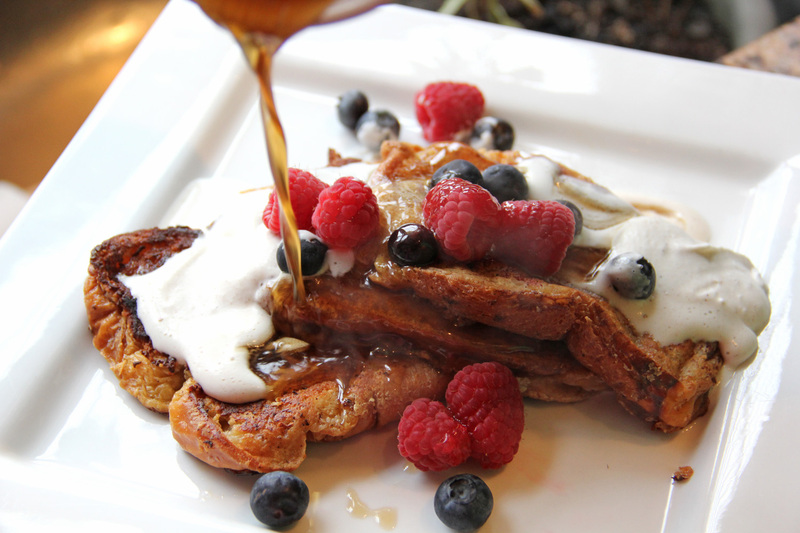 He absolutely loved it and added it to his “top 5” French Toast list. I decided to find a recipe (original recipe link at bottom of post) and attempt to re-create it because it was simply that delicious. I’m normally an eggs and toast kinda breakfast girl when brunching, but this dish even stopped me in my tracks. The copycat recipe I found did not disappoint either. Wow! 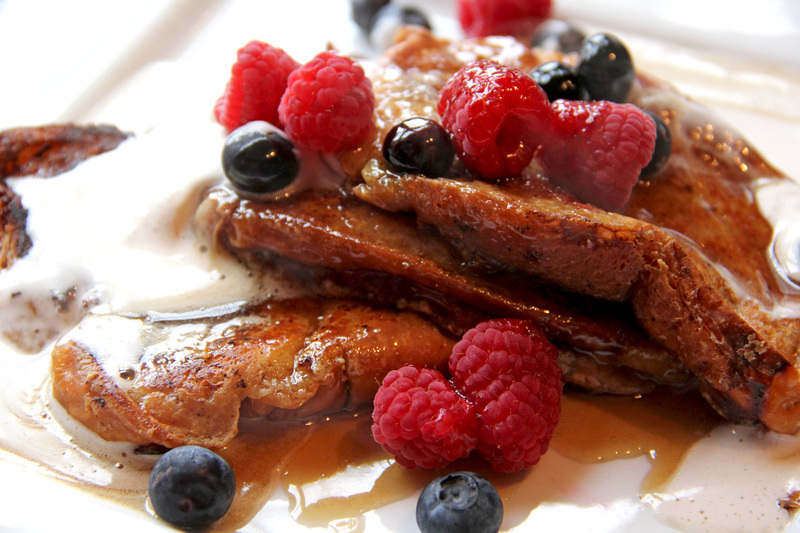 Such a great recipe (if you like your breakfast on the sweeter side) and pretty simple too. The three “leches” or milks in this recipe are coconut milk, regular milk and sweetened condensed milk. First, mix the three milks, egg and cinnamon together. Next, cut bread into fairly thick slices. 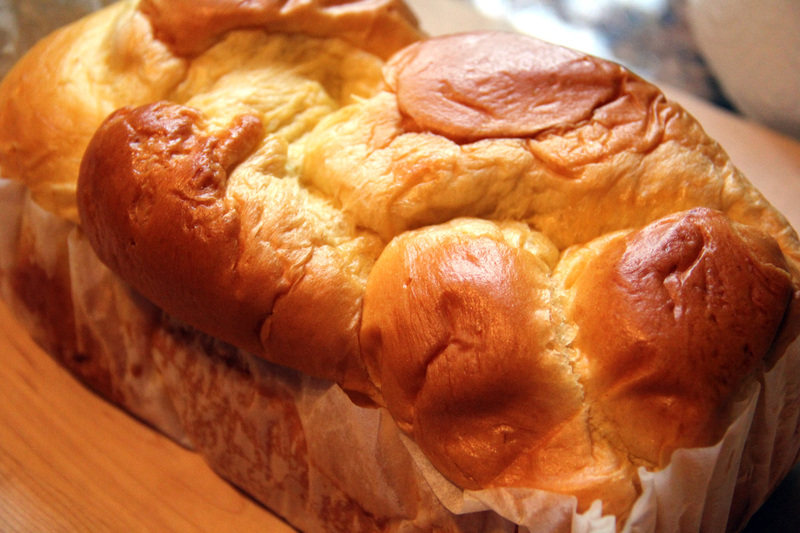 As I mentioned, I used a french brioche which was quite spongy to begin with. This recipe would definitely work well with some day old bread as well. 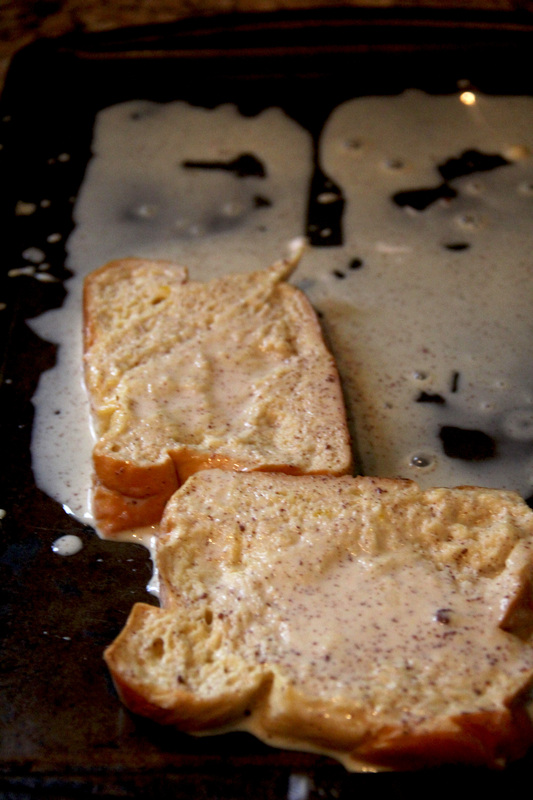 Dip slices into the milk mixture and let it hang out for a bit to soak up all the flavors. 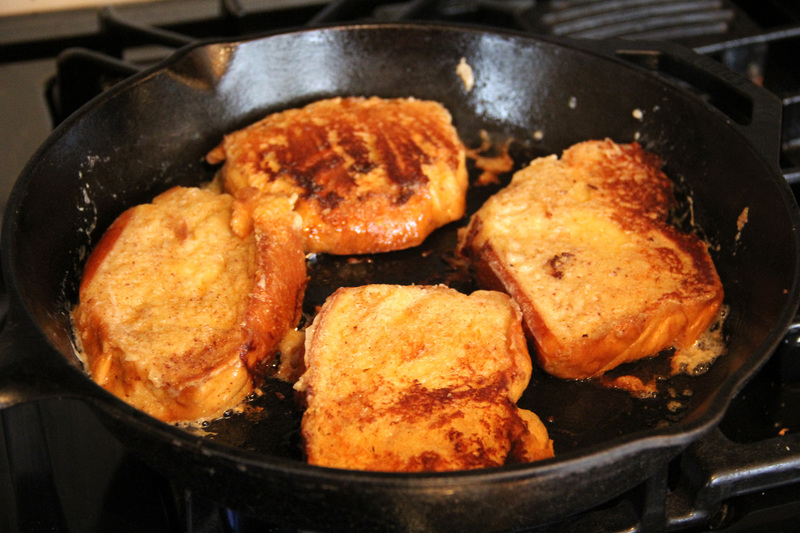 I rested each piece on a baking pan until ready to go into my cast iron skillet on the stovetop. When cooked to your liking, add a dollop of whipped cream (like we did) or just maple syrup or your desired topping. This recipe tasted pretty close to the original, I was surprised! And just look at it! How can you not want a piece of that? !